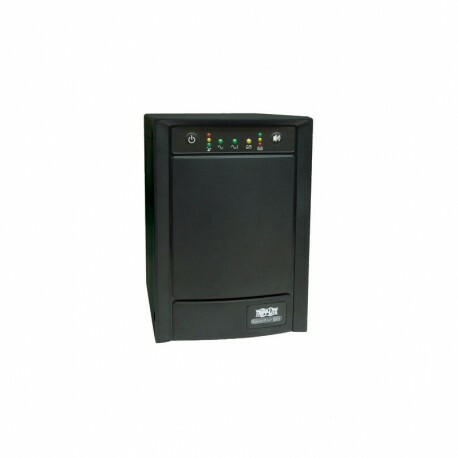 1050VA line-interactive tower UPS system for server, networking and telecommunications equipment. Upright tower form factor. Offers sine wave 100V, 110V or 120V nominal output in both AC and battery modes. Switches to battery-derived AC output during power failures and extreme voltage variations. 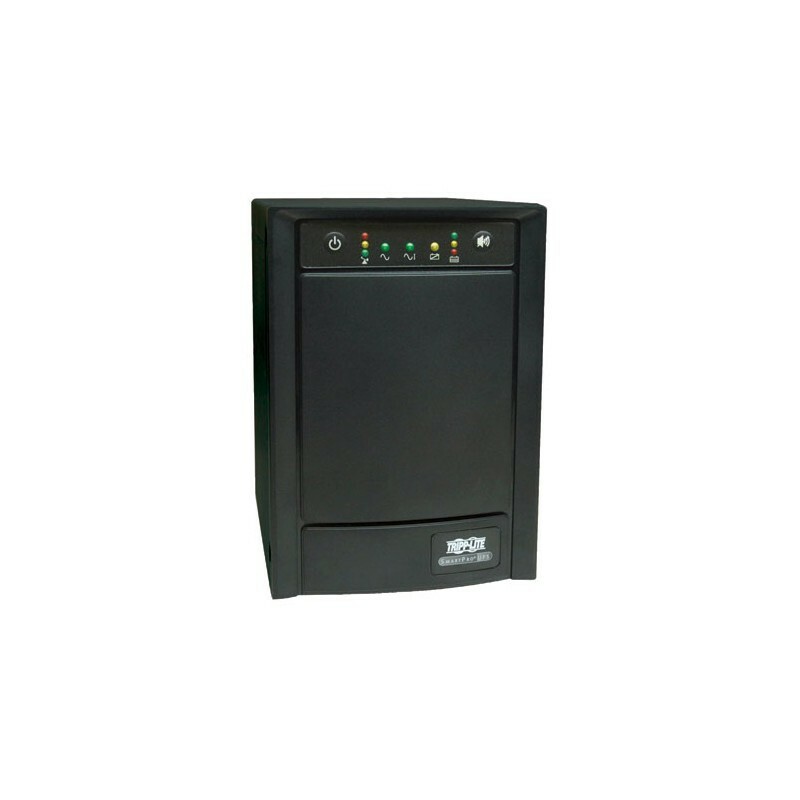 Line-interactive automatic voltage regulation (AVR) provides voltage boost during brownouts and voltage cut during overvoltages to maintain regulated 100V, 110V or 120V nominal output over an input voltage range of 95-145V. Features NEMA 5-15P input plug and 8 NEMA 5-15R output receptacles. Network-grade AC surge and noise suppression. Network management interfaces support simultaneous communications via USB port, DB9 serial port and SNMPWEBCARD slot. HID-compliant USB port enables full integration with built-in power management and auto shutdown features of Windows and Mac OS X. Supports simultaneous detailed monitoring of equipment load levels, self-test data and utility power conditions via all 3 network interfaces. Includes PowerAlert monitoring software and complete cabling. Features 3-stage metered current monitoring and battery charge status LEDs. Dataline surge suppression for dialup, DSL or network Ethernet connection. Utility power and voltage regulation LEDs. Audible alarm. Self-test. Field replaceable, hot-swappable internal batteries.